ln the Rusty Anchor lnn on the harbour wall of the Rocky Bay Harbour, we often have pub quizzes where the residents of Rocky Bay and any passing holiday-makers can compete for prizes by answering general knowledge questions. The answer as you may already know is Percy Shaw. 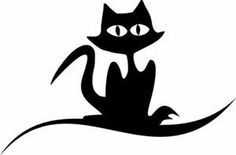 But do you know the story about how he got the idea to invent the cat’s eye stud? Last week, l was telling you about how some countries drive on the left and some drive on the right, and so this week l thought l would tell you how people keep on the road in the dark and the fog. Have you ever travelled in a car with your mum or dad along country lanes and noticed how there appears to be a line of bright white lights running along the centre of the road in front of you that disappear once they are behind the car? That is because they are not really lights but reflectors that are bouncing back the light from the headlights of your car. One dark, foggy night in 1933, Percy Shaw was driving along a steep, narrow road in Yorkshire. The road was full of twists and bends with a bank of solid rock on one side and a dangerous drop on the other. Suddenly he drove into a fog bank, and although he knew the road well, he felt totally lost and disorientated. He knew that because he could not see where he was going, he was in terrible danger. Just at that moment, he saw two pin points of light in the darkness. 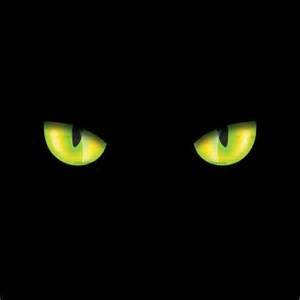 They were the reflections from a cat’s eyes as it sat at the side of the road. These acted as a guide to show him where the edge of the road was. 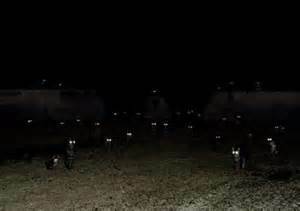 He was just thinking how it would be so useful to have more cats sitting along the side of the road, when he came to the main road and there he saw some tramlines gleaming in his headlights. This gave him the idea of inventing the cat’s eye stud. 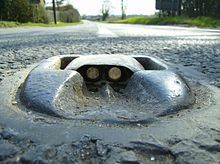 Many of these studs could be put along the centre of the road to guide motorists. 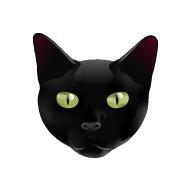 The cat’s eye stud he invented was a glass reflector placed in a hard rubber case. This hard case was put inside a soft rubber case which was set into the middle of the road. 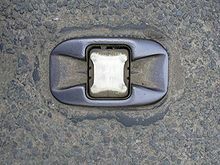 When a car or snowplough drove over it, the stud would squash down into the road and as it did so, the reflectors passed over some wipers positioned inside the case and these wipers cleaned the reflectors. Once the cat’s eye stud popped back up again, any dust on it would have been wiped away. Any rainwater trapped in the bottom of the casing would also help to clean the stud. The idea spread all over the world. 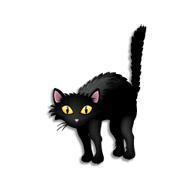 Bob: What do you get if you cross a cat with a dog? Bill: l don’t know what do you get if you cross a cat with a dog? Bob: An animal that chases itself! I hope you have all been enjoying the summer weather this week. 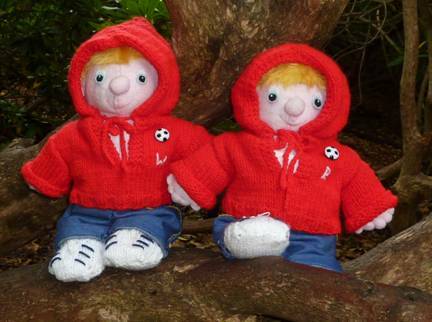 If you like knitting in the garden you might like another knitting pattern to try out. 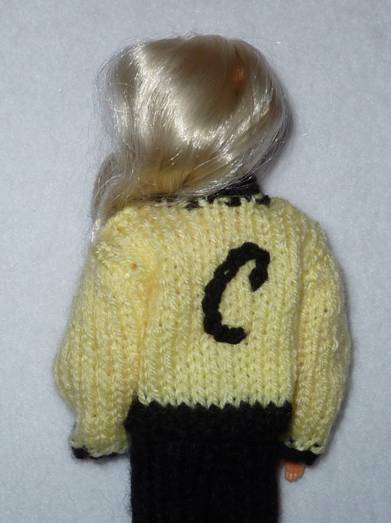 My Auntie Alice has knitted Emily’s doll another garment this week. 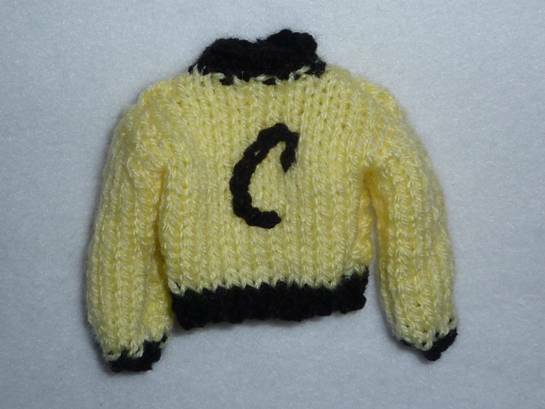 This time it is a black and yellow bomber jacket. Can you un-jumble these words to do with cats? 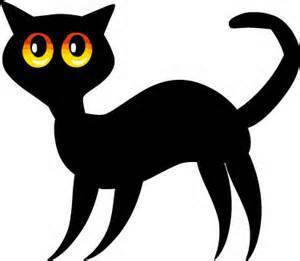 When you take your cat to the vet, he/she probably gets stressed. Here is a snuggly blanket to put in their pet carrier so that they can be comfortable when they travel. 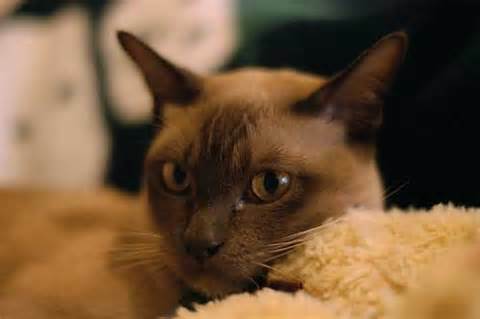 It would be a good idea for the blanket to have the cat’s smell or your smell on it when you put it in your pet carrier because a familiar smell might make them feel a little less frightened in a strange environment. Remember that smells are very important to animals. 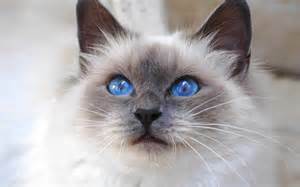 It is hard to explain to an animal that you are taking them to the vet for their own good. 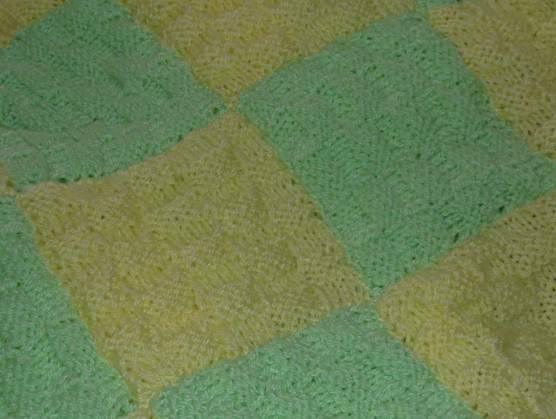 The blanket uses green and yellow yarn, but if you have a Siamese cat you might want to make a blue and white or grey one. 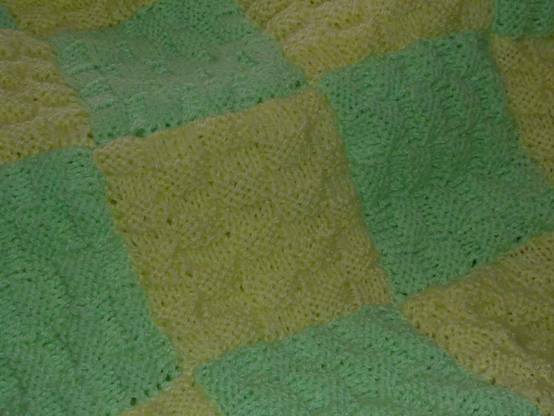 Of course you can use any colours that you like, and if you enjoy doing it you can make a bigger blanket for yourself as well! 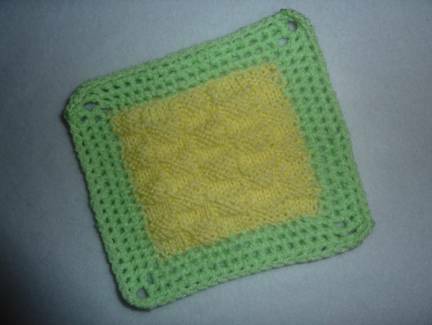 These squares hold their shape well and have a nice texture. 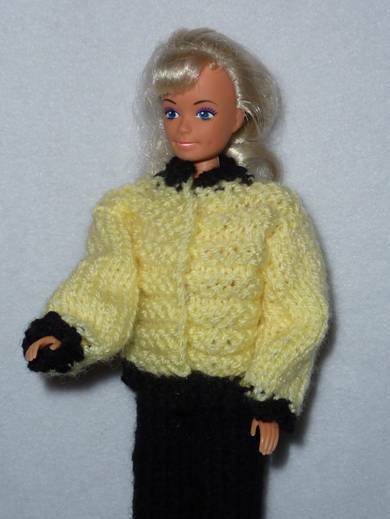 You could make a multi-coloured blanket for your bed if you love doing lots of knitting, but if you just want to try to make one square you could turn it into a doll’s blanket. If you want to make a blanket with other people, check that your tension is the same otherwise the squares will be different sizes. If you have different tensions, this problem can be solved by using different sizes of needles. You will need 2 100g balls of yellow dk yarn and 2 100g balls of green dk yarn to make a blanket that will fold into four and make a lovely soft base for a pet carrier. 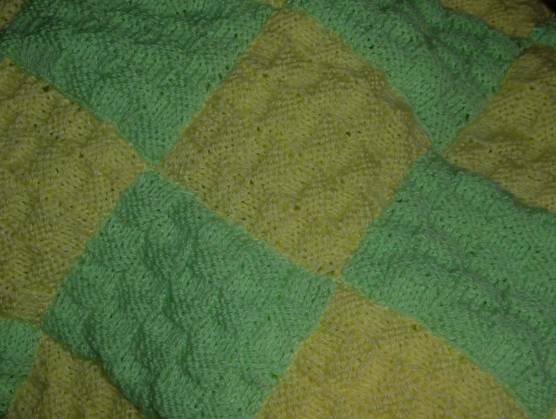 Sew the squares together in strips – the yellow squares will all lie in the same direction and the green ones will lie at right angles to them. Then sew the strips together. 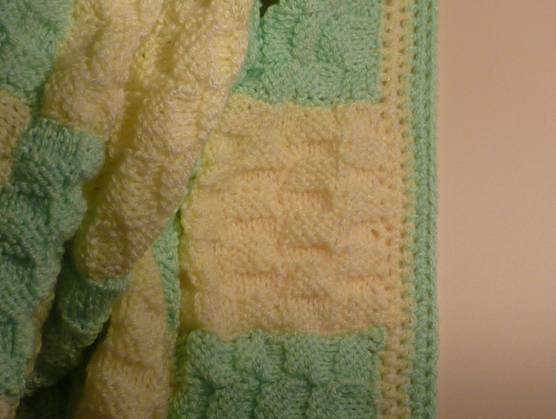 The blanket will be 8 squares by 6 squares. Crochet an edge in a multi-coloured stripe to neaten the border. At the sides pick up 1 stitch in the middle of each block and 1 between each block. At the top and bottom, pick up 2 stitches in each block and 1 between each block. Make 2 chains in each corner of the first row – 3 in the second, 4 in the third and 5 in the fourth, etc. 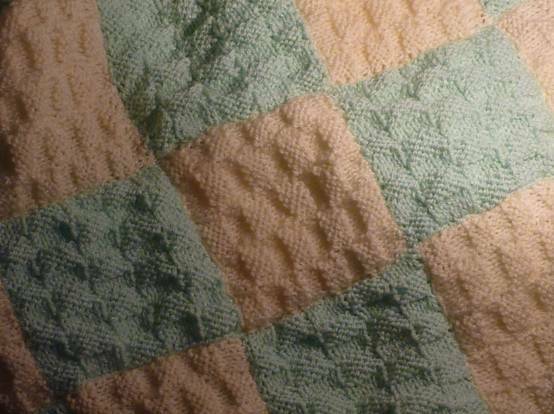 If you want to try some more difficult patterns to make squares, you could try this. 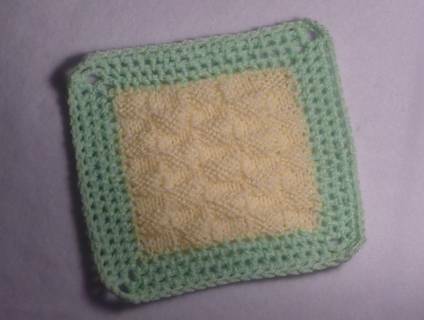 But you don’t want any stitch that will pull your knitting in too much because you want to retain the square shape. 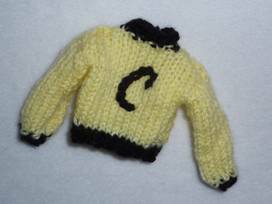 You will have to cast on a number of stitches that are a multiple of ten. 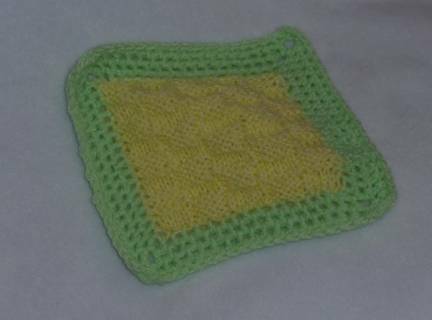 Keep knitting until your have made a square. 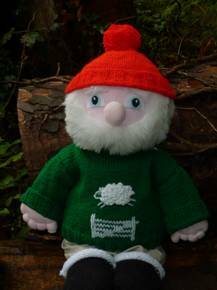 *If you ever leave a piece of knitting for a long time, leave it on a stitch holder or a smaller sized needle because otherwise a line will probably appear across it.